The Yaesu G-5400B, G-5600B and G-5500 controllers have an 8-pin DIN connector on the back. 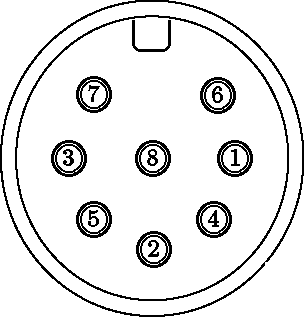 The schematic for the rotator shows the connector, but doesn’t make it clear what each pin does. Check the cable before you plug anything in or out, since you don’t want another job repairing the Yaesu box too!